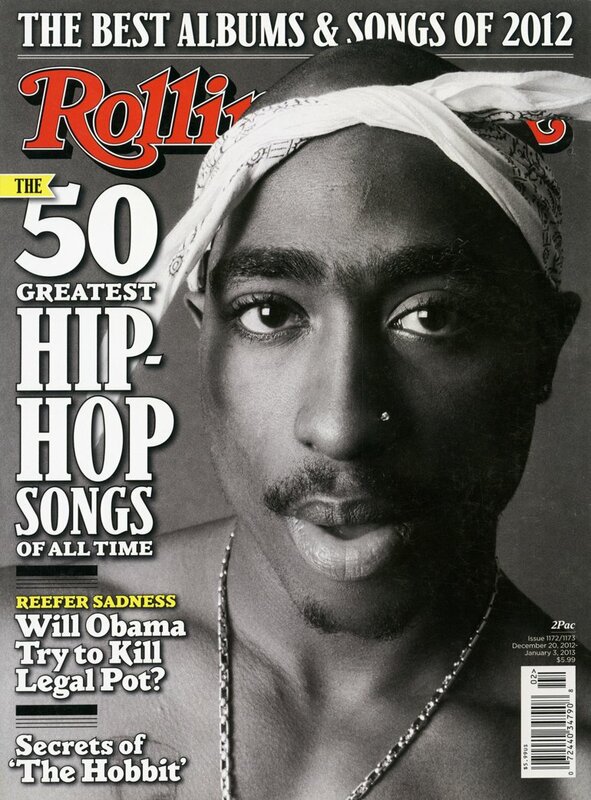 Chi Modu is a photojournalist who's responsible for producing some of the most iconic images of the Hip Hop movement. 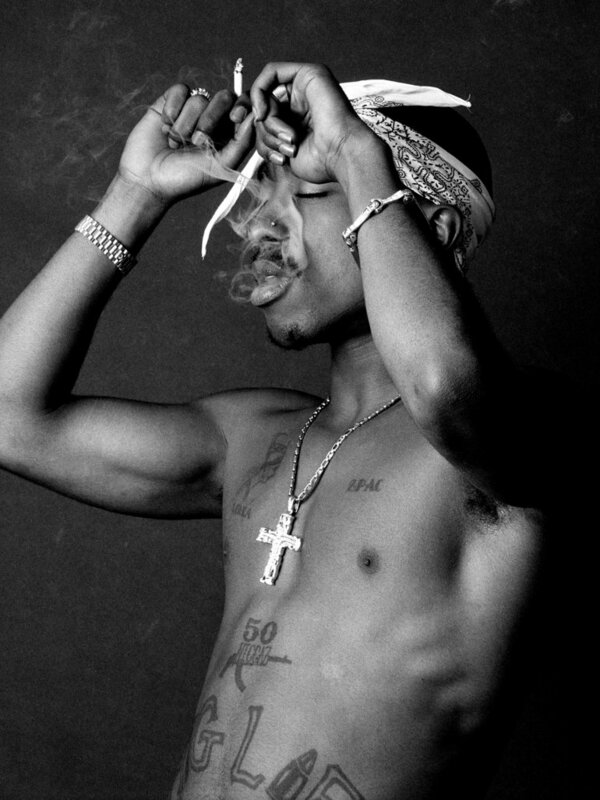 Throughout his career he has worked with legends including Tupac, Biggie and Snoop Dogg and his photos helped to define Hip Hop culture. 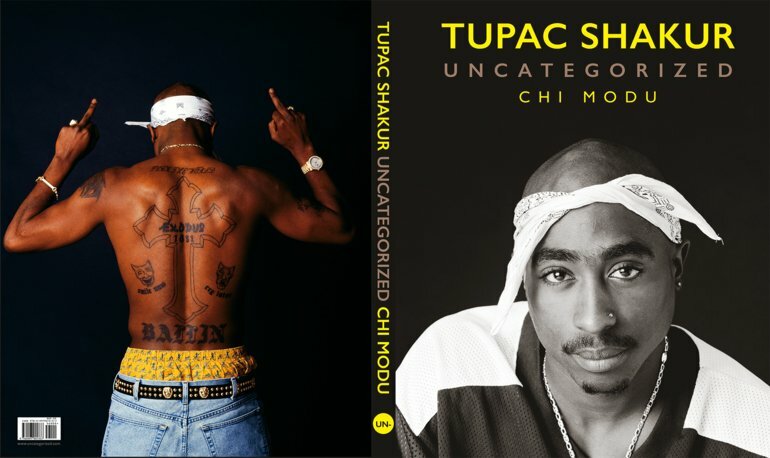 He has recently released Tupac Shakur Uncategorized, a book featuring 200 pages of previously unseen photos of the rapper 20 years after his death. In Part I of our interview, Chi talks about how he began shooting with Hip Hop's biggest stars and why an empty billboard inspired one of the most important turning points of his career. I was born in Nigeria, but raised in New Jersey. There was a civil war in Nigeria, the Biafran War, and my Dad was working on his PhD, at the University of Chicago, in America at the time so the whole family moved here to join my Dad. I moved here when I was three, went to high school here, went to college in New Jersey at Rutgers and then after college I moved up closer to New York City, where I started working small jobs and got in to the International Center of Photography (ICP). Photography was always a passion of mine and when I was in college my girlfriend at the time and I put the money together to buy my first camera in 1987 – and she’s now my wife today, so she saw the whole ride! As I got a little older, post-college, I knew that I really wanted to do this and that’s where ICP came into play. It was kind of like the photojournalism training ground, a very traditional photo world and they’d train you for New York Times, Time Magazine - photojournalism stuff. But, for me at the time, I saw Hip Hop coming up and thought if I can take these skills and apply them to this burgeoning art form, it’s gonna make a difference. I brought a high level of photo skills into an arena that had been traditionally photographed a little bit more ‘Teen Magazine’, Fanzine style, and I brought 4x5 portraiture into it in 1993. That really jumped up the whole space a lot. I think in retrospect, when people look at my career, they understand that that’s why I became so well-known because I was so technical and serious back then, even when people didn’t really know what I was doing. But now 20 years later, they realize how important it was, but that’s the nature of the medium. So how exactly did you go from ICP to working with the biggest names in Hip Hop? Back in 1990 there weren’t cell phones, we had beepers at that point. So when I first grabbed a camera there were some free newspapers in New York City, one was called The Amsterdam News. They would offer me $15 if a photo that I took ran in the paper. You’d have to come up with all the costs yourself, all the film, everything… so I didn’t make any money! But at The Amsterdam News I met a few people that knew about The Source magazine which was just coming up. I went down to talk to the people at The Source and said “I know how to take pictures and I have a beeper”, so they said they’d call me when they needed me for stuff. Eventually I started to show up all the time for events and things, then the artists started seeing me and knew that if they posed for my camera the image would show up in the magazine. I started to become the eyes for Hip Hop and this was at a time where there wasn’t a whole lot of competition because it was the early 90’s – not a lot of people could afford film, or even knew how to use it, but I had a decent camera, a Nikon, and I could actually get in the mix. Once the artists saw me as that guy my reputation went up in their minds and then that’s how my archive started to build. I also started to add value to The Source because they had a photographer which was as much a part of the brand as the name “The Source” was. In some ways I was like the final word on these artists thinking “I’ve arrived”, because once I’m photographing you that means you’ve arrived, you’re now at this level where the magazine’s writing about you and people want to know about you. People were always happy to see me, they weren’t like “what are you doing here? !”, so my job was pretty cool in that I was bringing gifts wherever I showed up. It’s not like a writer, where the article may be positive or may be negative depending on their mood or whether they like the music, but I wasn’t judging the music and my relationship with the artist was more like a partnership. It was like we were on the same team. I was trying to make the artist look good so I look good. My job was to make them look good. The music matters, but I’m there for how you look not how you sound. Having developed this reputation with artists being happy to see you, did you still have to do anything to make them feel comfortable in front of the camera? In 1992, even though they were happy to see me, it was still a dog eat dog environment, so I had to have my own presence to get these very popular superstars to cooperate. You’re talking to people who are very young and have a lot of power, so my most important skill as a photographer was that I was able to make people comfortable. You can’t be scared to make people comfortable, you have to bring comfort. Once I made the artists comfortable then they’d relax and then I was able to get the more honest pictures, which are the ones that live forever. My approach is always to get people to relax, I’m a very down to earth dude, very approachable and it’s not because I don’t know who I am or what I’ve done, but because of that I’m able to be approachable – some people go the other route, they know what they’ve done and become unapproachable. People like me and once they like me we can work together to make some magic! When they see the results later they’ll want to work even harder the next time they see me. I think part of why many of the major artists including; Premier, Snoop, Drake, all follow me on Instagram is because there’s a certain amount of respect that people have for the work that I’ve put in. I was really very serious with the camera in that I knew the work that I was doing would ultimately be very important for a generation. Was it difficult to pursue your passion as a career? I knew that my money from my music photography was going to come years later, not then, and a lot of people don’t know that level of sacrifice. That’s the challenge this generation has, as people want everything right now, but photography really needs 20 years. For me now, part of this resurgence is that we’re at this 20-year marker and people are looking like “who is the person that did all this?” and seeing that it’s me. If you talk to any artist, I don’t think it’s really all that unique, I think we all go through this process and as painful as it is you kind of have to make it through the process to really be great. So I’m fortunate in that I’m on the other side of that process now and it’s nice to get there – it’s not done but it’s a process. When did you decide to launch UNCATEGORIZED and was it something you always planned to do once you had accumulated your archive? Well, initially I stopped photographing music hard-core in the late 90’s, so what I did for almost a full decade after that was to license my photography. For a long time, I was licensing stock imagery of my music photography and I would also photograph other subjects outside of the music space. But about 3 or 4 years ago, I looked up and thought to myself that if I don’t do something then people will actually forget who did some of this important work and I was starting to hear a lot of other names being raised as to who was “the guy.” So I thought “you know what? I can fix that”. This was around the time that Instagram was starting to bubble up, it wasn’t where it is today. So I had these pictures and I was walking by a vacant billboard in Soho in New York City, and I looked at it and knew that I’d always wanted to wrap buildings in my imagery, but figured a billboard is the next best thing. 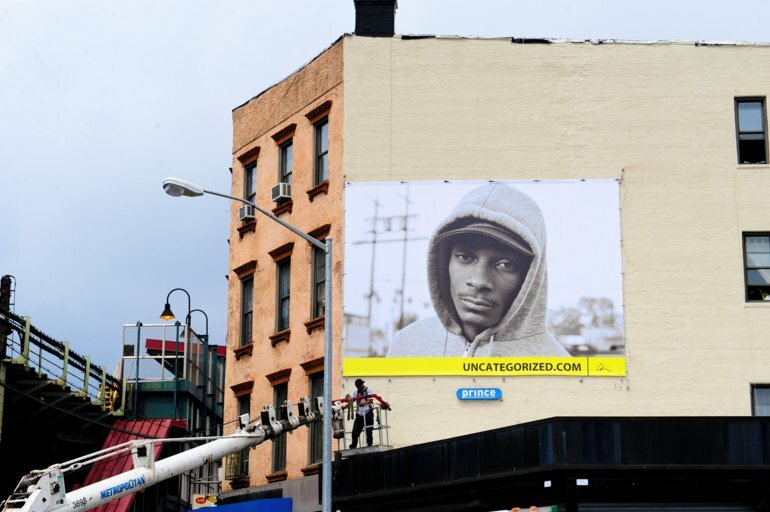 The thinking was that a billboard allows you to take the art to the people and that’s always been my push. 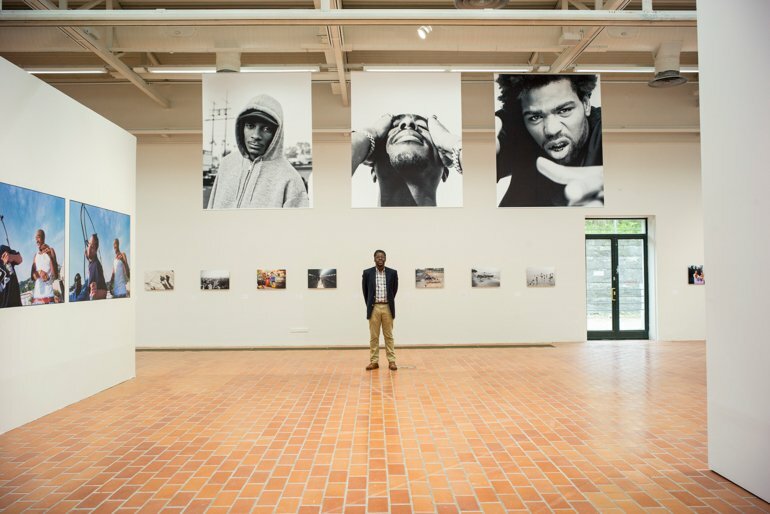 The goal was to find a way to go around the middlemen that are stopping the people from seeing my work - and the middlemen are the museum galleries, the curators, the magazine editors, and the rest of the people who decide what the public sees. So I decided to go to the public directly via the billboards. At first we took out 5 and then eventually a total of 7 billboards around New York City, starting in the Summer of 2013. The first round was up for around a month and a half or so and that project got a lot of attention. It was like no-one had seen anything like that before. I would place a photograph of mine, the word ‘Uncategorized’ at the bottom and then my signature in the corner, and I wasn’t selling anything, just selling myself – but not for photo work, I was selling myself for history and taking my position. When people found out about it they thought it was incredible and then a museum in Finland asked if they could do a show of my work because a friend of mine brought it to their attention. So in August they said they wanted to do a show for the following summer, which was very soon in the museum world, and they ended up making it their major show in the summer season. It had an 800 square metre space and it was a solo show, so that was a big deal and kind of put me on the international map with Uncategorized. I returned the following year to release a book with the Pori Art Museum, as a catalogue to the show. After that, I knew that I was going to start to do my books and I knew the 20th anniversary of Tupac’s death was coming up, so I stuck with the Uncategorized theme and recently released Tupac Shakur: Uncategorized - I may do a Biggie one, but ultimately I’ll do Chi Modu: Uncategorized where I can do a series of my work from that era. Chi has been a FotoStation user for over a decade and continues to license his archive of unique images. In Part II of our interview, he talks about the business behind his passion, the impact of social media on photographers and adapting to tech advances in the industry. Subscribe to the FotoWare blog to make sure you don't miss Part II!